Good morning! How was your weekend friends? N8tr0n surprised us with an overnight stay in Jackson Hole. He said that even though we have been doing lots with our extended family we hadn't gone anywhere just the three of us. Rad, right? We had a great time. I can't wait to go back for a longer stay next year. 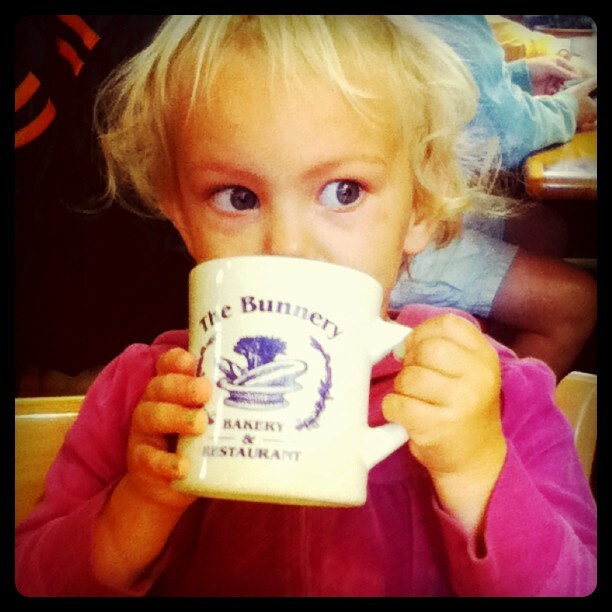 We started the morning with a delicious breakfast at The Bunnery. 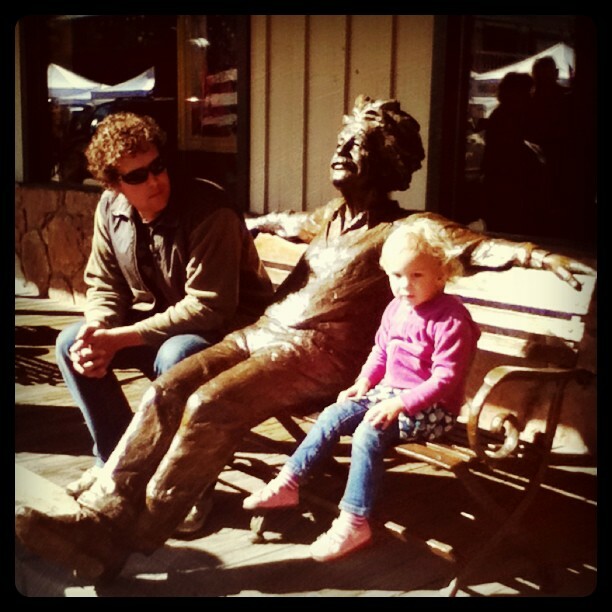 Then we looked through some art galleries, watched the Art Festival Auction, and hung out with Al. If you knew how many pictures I took trying to get Z-cakes to smile + look directly at the camera....It sounds something like this: "Z. Look at me. Look at me and smile! Look at me with your eyes. Z? Hello! I'm over here! No, look at me with your eyes. Can you turn your head? Now your eyes? Smile please!" This is the best I could do. 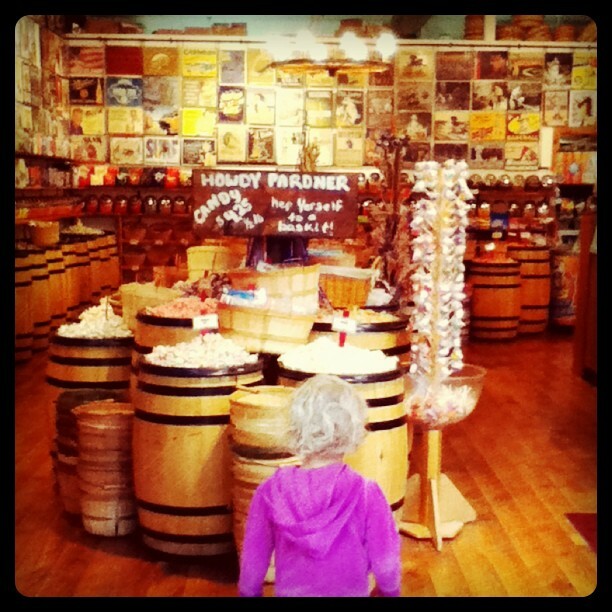 N8tr0n and I kept our eyes out for any cool art to put in our house (it was all waaaaaaaay out of our price range), but Z-cakes had her sights set on candy. She made a sizable purchase at Yippy I-O. 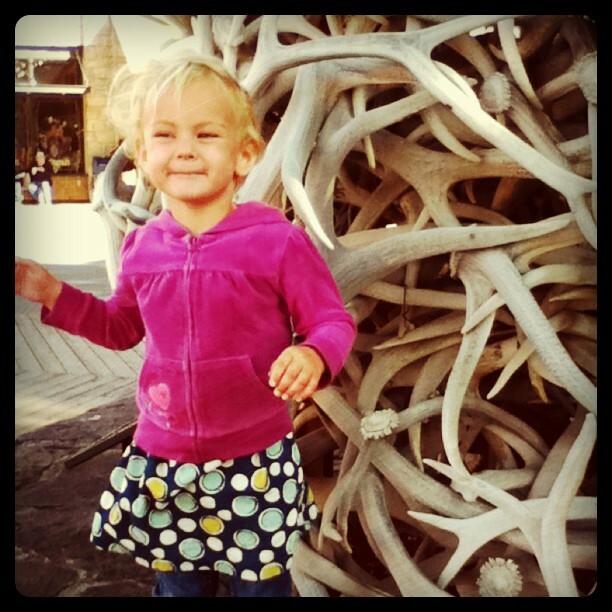 We also went to Teton Village to check out the ski resort. Obviously nobody is skiing yet but the place was still hopping with mountain bikers. N8tr0n decided he needed to go skiing this winter now that we have an actual job and money to do those kinds of things. I thought about how it is a shame that I don't ski living in this place of endless winters. 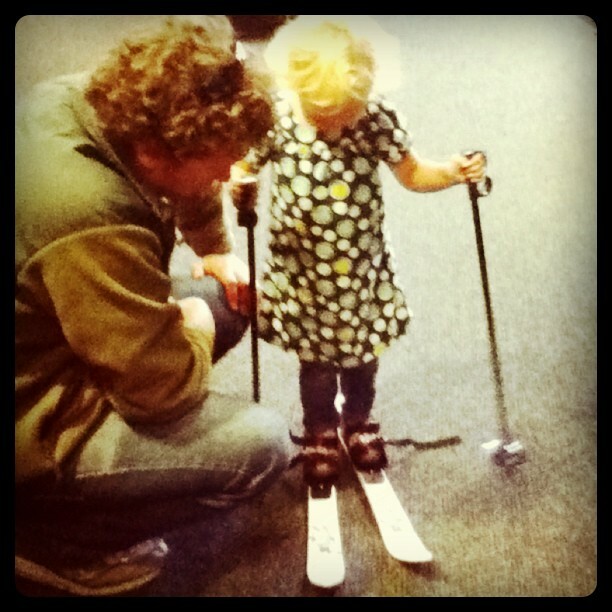 Since he won't be skiing with me, N8tr0n is currently training a new partner. On the way home we stopped to check out the Teton Dam. I thought it was an amazing sight but it didn't stop me from recognizing that it was the kind of thing my parents would have driven out to see that I would have thought was beyond boring. I guess this is what it feels like to be an adult. Happy Monday! Here's to having a wonderful week! P.S. Last night after closing up the chicken coop I came inside and announced that it smelled like fall. Z-cakes insisted on coming outside and smelling for herself. No doubt about it friends, my true love is on his way. ohhh my fun! my whole extended family used to rent a house up there and spend the weekend. it was so so so much fun. i should probably talk to them about doing that again because i surely miss it. looks like you had a marvelous little trip with your cute fam! I love little trips like that, they're the best. Oh, and the next time you go, make sure to hit the thrift store just off main street, it is awesome! She is such a doll, Mandy! 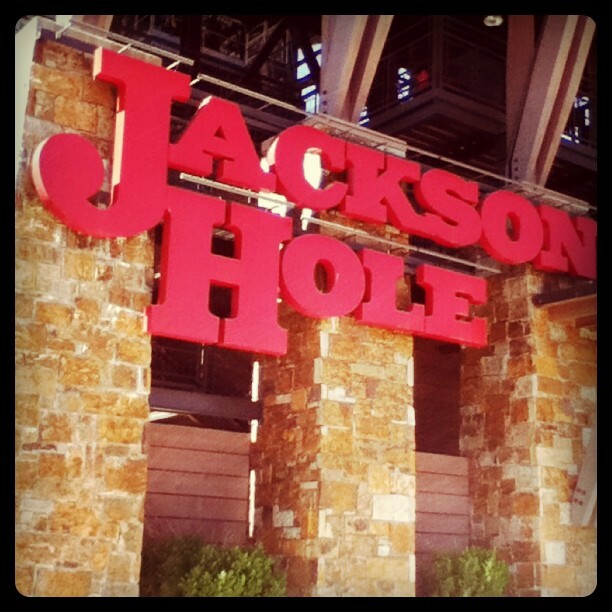 I love the pictures and I also love Jackson Hole. J and I love it there, too. What a thoughtful husband you have!! And, I'm thrilled that fall is almost here. Here's to the boots that I purchased because of you and was only able to wear 3-4 times before it became to warm. I can't wait to put them on!! Will does the EXACT same thing for pictures. "Look at me. Look at me. At me. Okay, smile. No, smile. Look at me and smile. No, look over here. Over here." What a wonderful time 'weekending' you had (love that word now! )I adore your posts where I feel I am catching up with you all and your adventures. The last shot is just perfect - those diddy ski's!